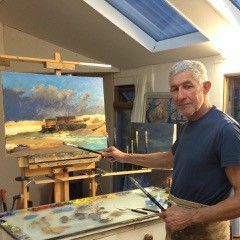 If you like colourful paintings, particularly in the style of the Impressionists, this will be the course for you. Learn from the great masters under the direction of your tutor, Eddie Goodridge, how to paint a Monet, Sisley, Edouard Manet or a Berthe Morisot. Learn how the Impressionists developed their skills from plein-air studies, using broken colour techniques to capture light to portray everyday life subjects.